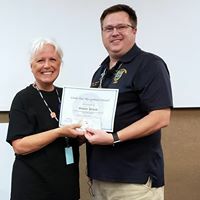 The Pearland Citizens Police Academy Alumni Association (PCPAAA) is comprised of professional volunteers who are dedicated to community involvement and helping to make their city a better and safer place to live. 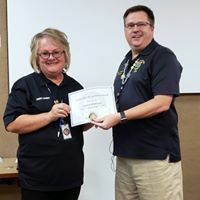 It is the mission of the PCPAAA to assist and support the Pearland Police Department exclusively in developing and maintaining a positive relationship between the department and Pearland citizens. We also have a lot of fun! 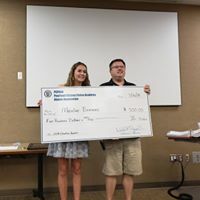 If you are up at the PD and have access to the locked doors section go to the CPA room and drop either cash or a check in an envelope clearly marked “Dues”, into the Dropbox which is to the left of the safe on the counter. PCPAAA New & Renewal Application We do not take payments online at this time. Board Meeting – Tuesday, January 8, beginning at 7:00 p.m.
General Meeting – Monday, January 21, beginning at 7:00 p.m. The Pearland CPA is a free community oriented policing program designed for the citizens of Pearland. The CPA is open to all residents that live or work in the Pearland area. Applicants must be a minimum of 18 years old, except an applicant who is 17 may attend with an adult family member. All applicants must pass a background investigation and complete an application. NOTE: The Citizen’s Police Academy WILL NOT certify attendees as law enforcement officers. The start date of our 48th CPA Class is Thursday, February 7. Classes will be held on Thursday evenings from 7:00 pm – 9:30 pm for 10 weeks. If you have questions, contact Officer Chad Rodgers at crogers@pearlandtx.gov or click here to fill out an online form.